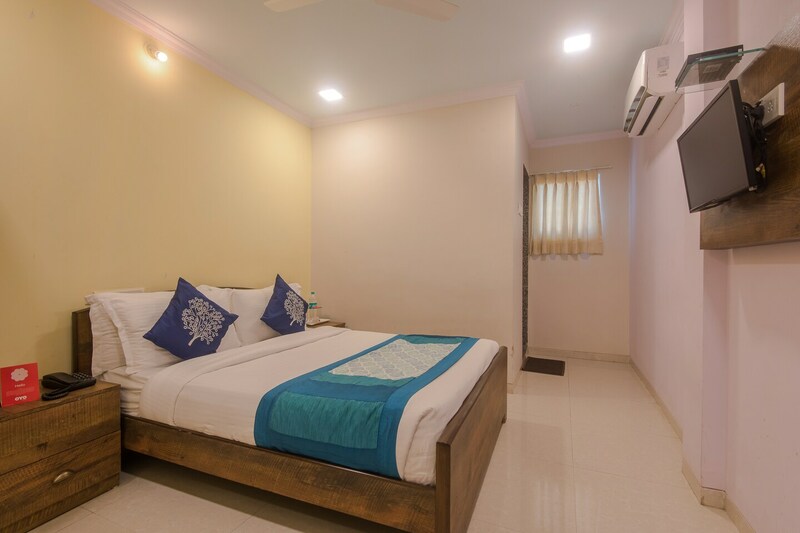 Situated in Mumbai offering modern accommodation to guests, Hotel Stayland is a good option for travellers. The spacious and well-lit rooms are well-furnished and the sofa is a delightful addition to the room. The cushions add pops of colour to the space, making it appealing for the guests. The hotel adopts a safety-first ideology so you can relax and unwind. If you have your own car, there is a parking facility on the premises as well. Other facilities available at the hotel include card payment option, CCTV cameras and free wifi access. If youre travelling for business or pleasure, there is something for everyone in and around the hotel including conveniences such as ATMs, restaurants, bars, and shopping markets.